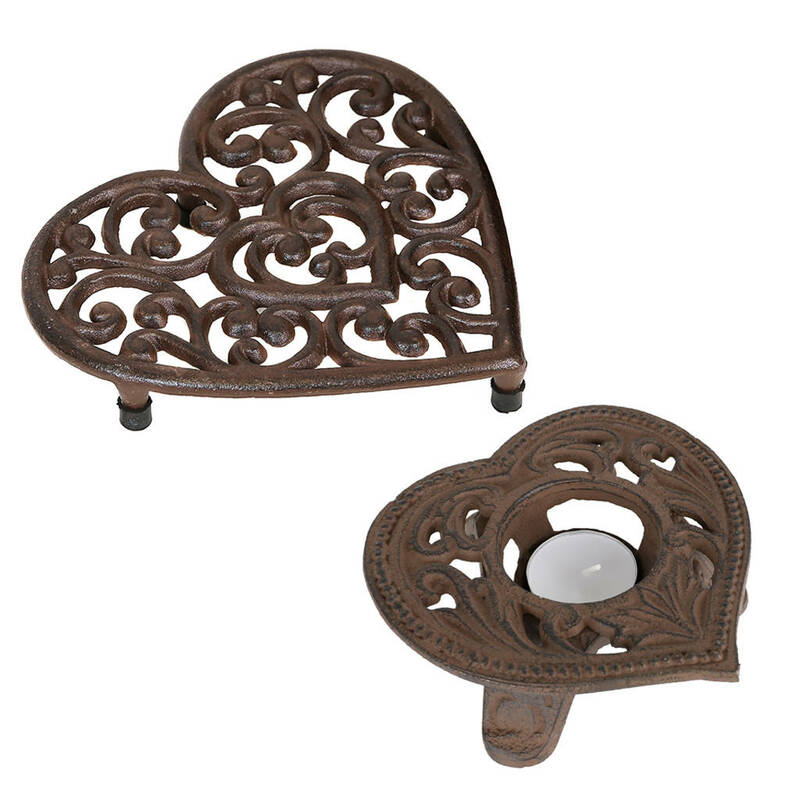 This traditional and decorative set of a cast iron trivet and matching tea light candle holder are the perfect gift for any occasion. 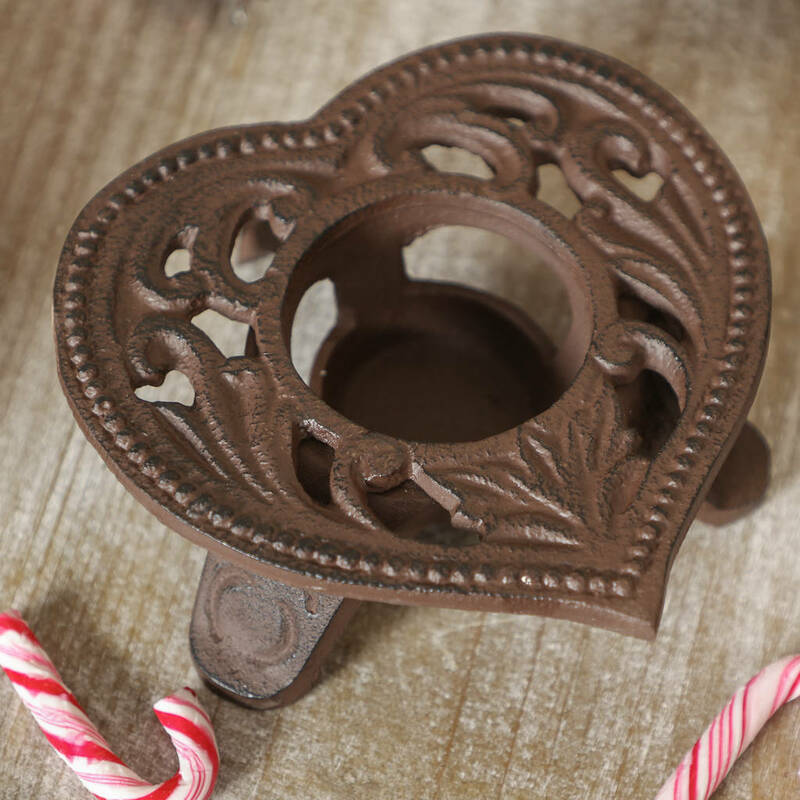 These pretty, yet practical dining table accessories are sure to bring a rouch of rustic charm to your home - tableware that will bring joy for years to come. 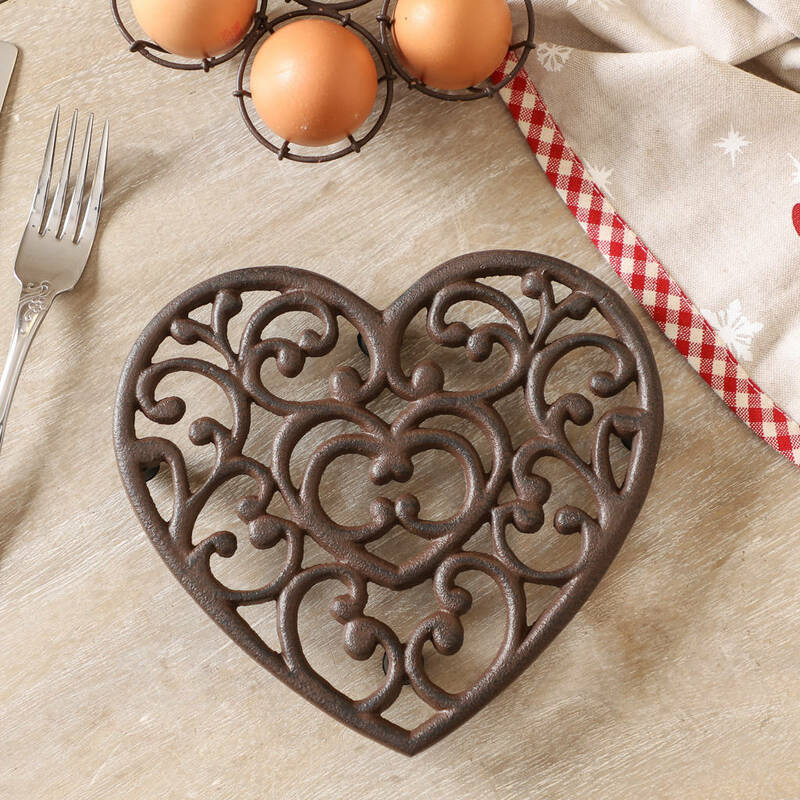 Made of durable cast iron with a delicate scrolled motif, and decorative love heart latticework, these vintage additions to your table setting are perfect for the home and are sure to impress your guests. 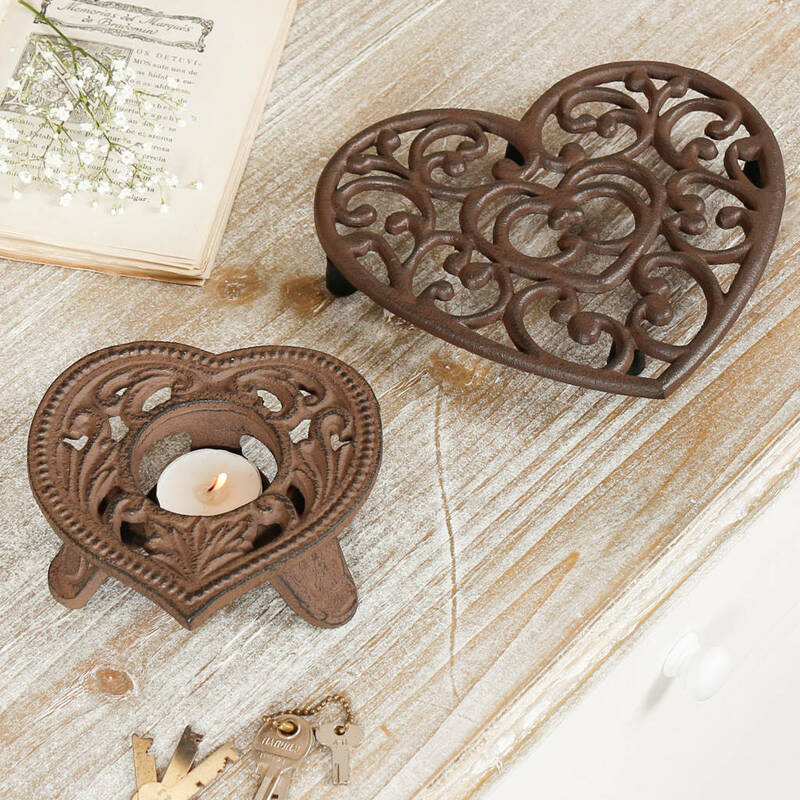 Perfect as a sixth anniversary gift set, these beautiful pieces are sure to impress your loved one and create a cherished present for years to come - ideal for decorating the home or kitchen. 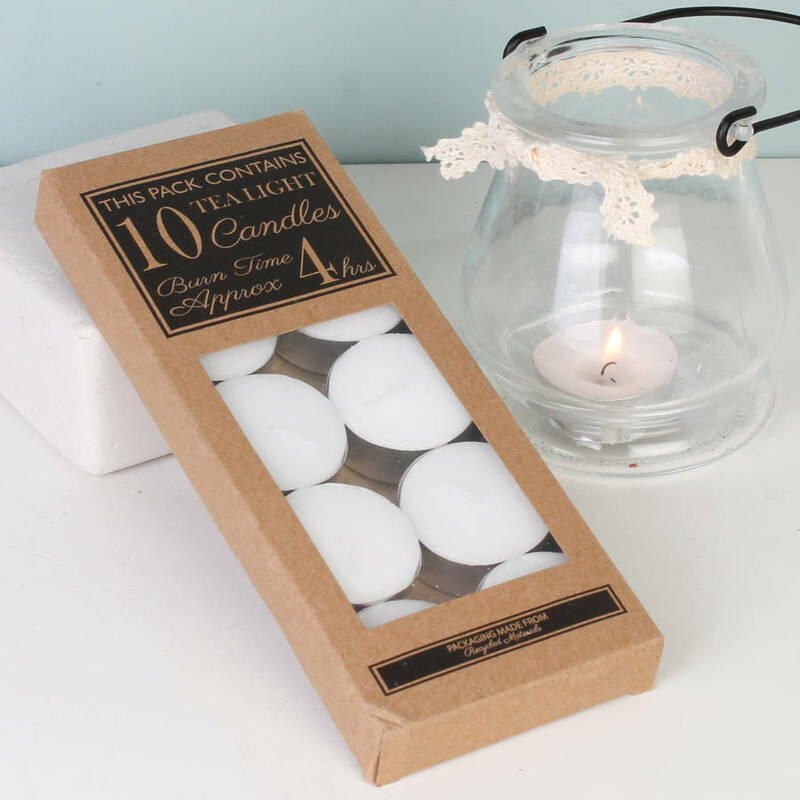 Create the ultimate gift by adding a pack or long burning unscented tea light candles to your order for only £3.00! 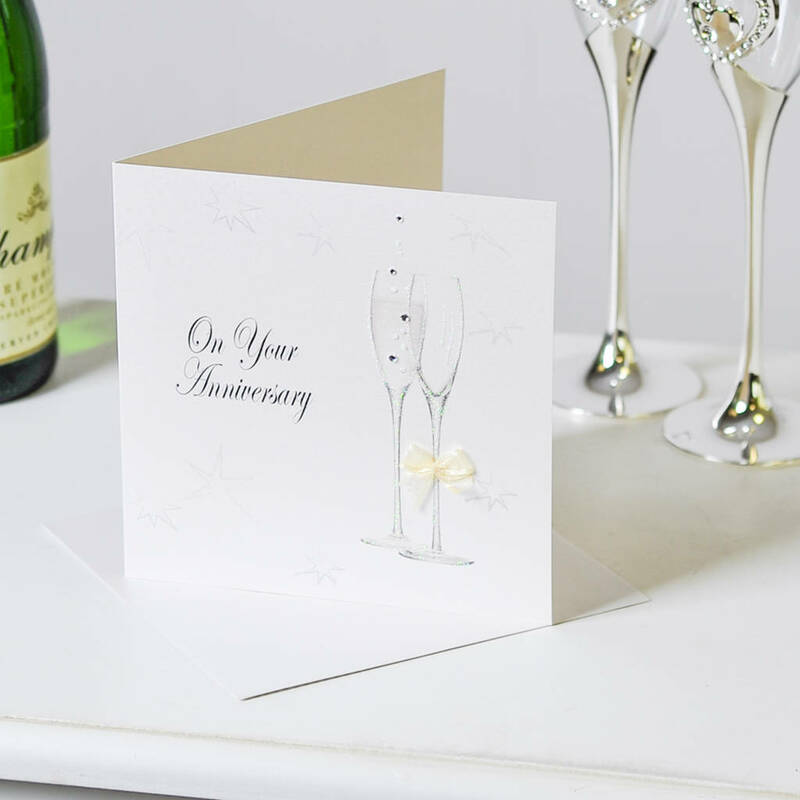 Exclusive to Dibor, why not add a luxury anniversary card to your order? 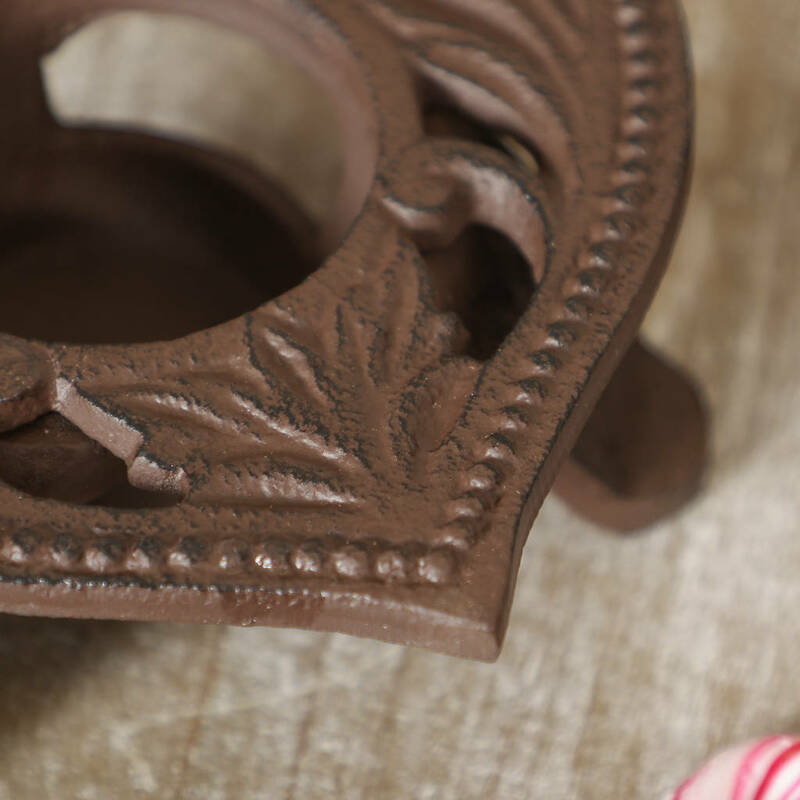 Handmade in the UK with a beautiful glitter and diamante Champagne flute design, with bow detail. Each card is blank inside for your own message, and comes complete with an envelope. 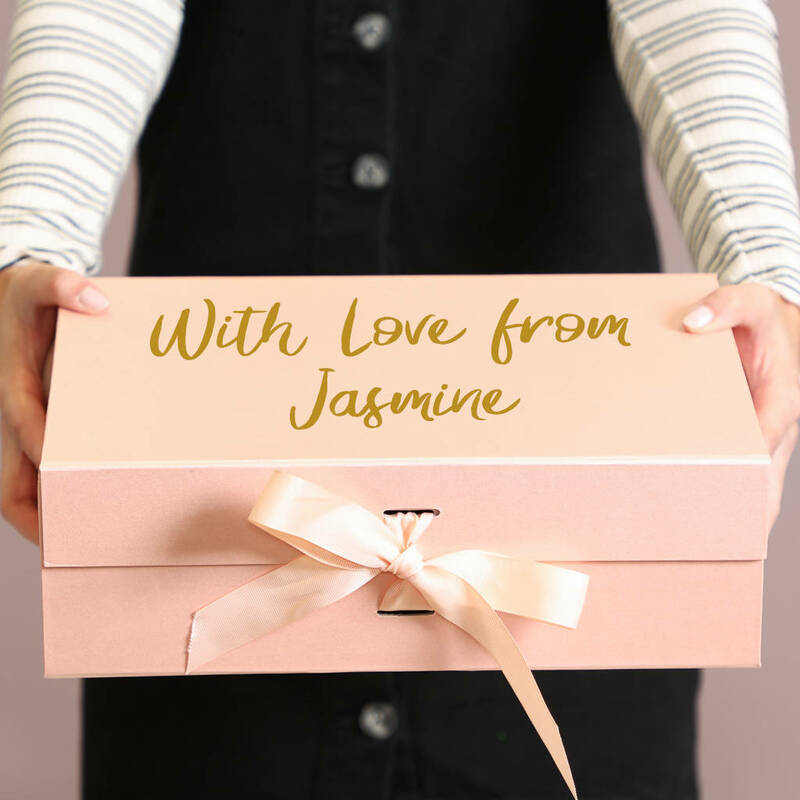 PERSONALISED GIFT BOX - Exclusive to Dibor – complete your gift with a one of a kind, personalised luxury rose gold gift box. 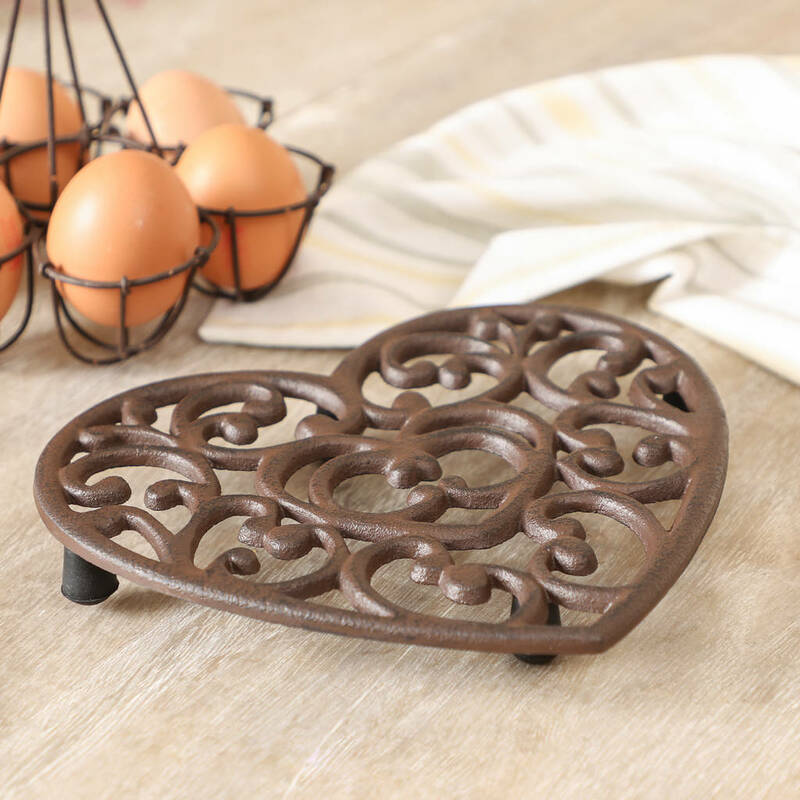 Made of strong, durable board, with a glimmering gold vinyl message on the lid, this unique finishing touch is sure to raise a smile, and create a perfect keepsake that can be cherished for years to come. 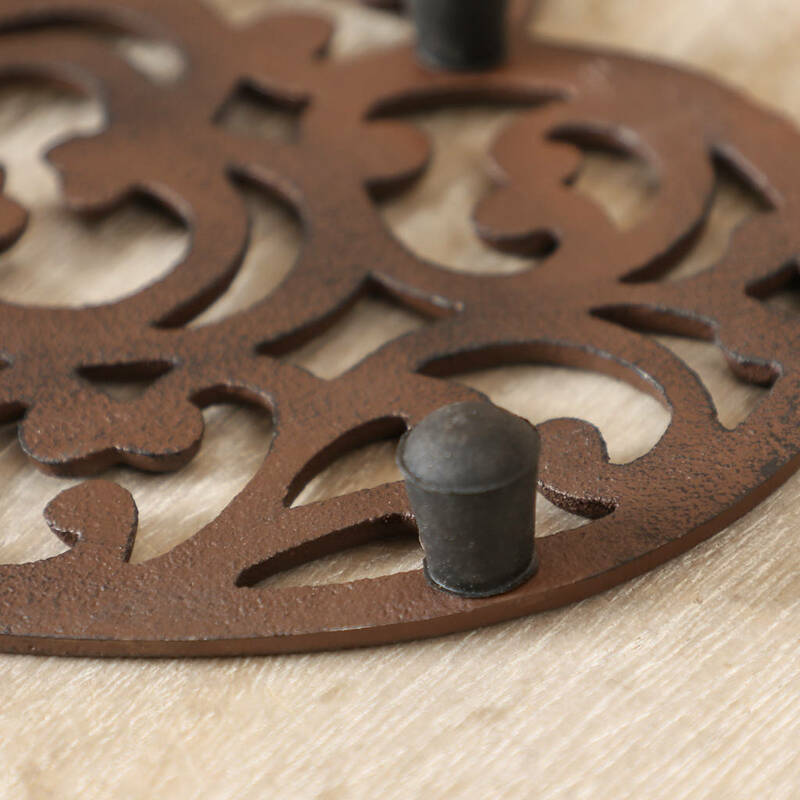 All personalisation is done in house at the Dibor West Yorkshire Mill studio, by our specialist team, in a font that's exclusive to Not On the High Street. Royal Mail: All parcels are dispatched second class with estimated delivery date between 3-5 working days, Lost parcels must be left 14 working days from dispatch date before we are able to look into the order. Not a trackable service and no signature required. 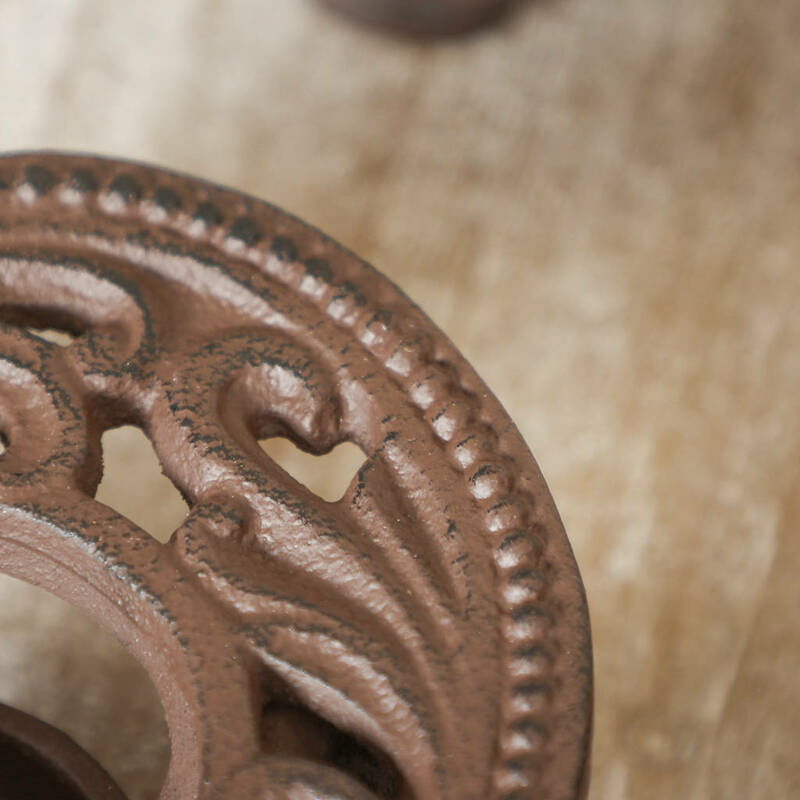 DPD: Full trackable service with one hour time slot sent via text message or email address on the morning of scheduled delivery and a signature is required or safe location, DPD delivery service not available to out of area Post codes or Northern Ireland.